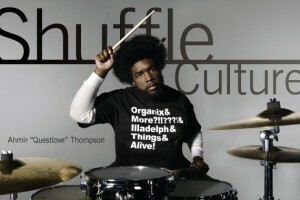 “Shuffle Culture” curated by Questlove is an immersive musical experience put together by The Roots drummer extraordinaire. Enlisting a stellar lineup of artists, Questlove and musicians perform a free-flowing playlist—a kinetic mix of songs and sounds from unexpected musical bedfellows—that celebrates and reflects our current shuffle culture. Featured performers include Jeremy Ellis, D.D. Jackson, Reggie Watts, Rahzel, Kenny Muhammad, Deerhoof, Gray, Metropolis Ensemble. Creating a seasonal menu filled with fresh and locally grown ingredients along with wines from small interesting local wineries, ICI creates innovative dishes like Wild Striped Bass with shitake mushrooms, fennel butter, and fennel slaw ($25). An eclectic bar in Ft. Greene that has absolutely nothing to do with The Simpsons, Moe’s offers a decent beer selection, a neighborhood vibe, and big windows to people watch. For coffee and a place to just sit and relax, Tillie’ss serves a great cup of joe, while consistently having performances, and serving excellent baked goods and vegan food.